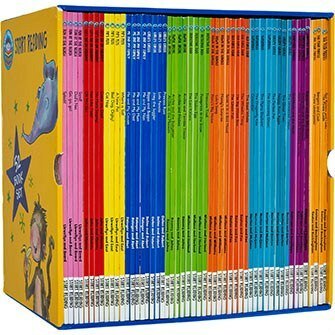 This collection contains 52 books that will help children on their way to becoming confident readers. The books will help children gain confidence and enjoy reading for pleasure. From castle mysteries to superhero exploits, the stories are illustrated and progress gradually as children become more fluent in reading. Compiled in consultation with a literacy expert, these books will help children at the earliest reading levels. Pip's Pets: Bad Dig, Digby! Pip's Pets: Where is Sid? The Poor Pirates: Pirate Underpants! Fun at the Beach: Splash! Fun at the Beach: Go, Go, Go! Let's go On Holiday: Off We Go! Let's go On Holiday: Not like That! Let's go On Holiday: No More Singing! Let's go On Holiday: Come on Dad!